Yes Mega Freshers are ready to show up their talents next year first half. Even though Allu Sirish’s Gowravam failed big time at box office, he is quite positive about his next project Kotha Janta. Kotha Janta directed by Maruthi & they are aiming for February 14 2014.On the other hand Sai Dharam Teja Debut movie Rey still not yet released but going by the release trends movie might release in January 2014 for sure.Three Feeler Teasers got tremendous response. 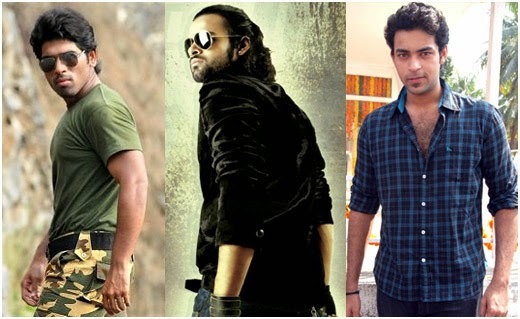 And last but not the least Varun Tej – Srikanth Addala Romantic love story ” Golla Bhama” also releases in 2014 first half. Other than this , Sai Dharam Tej another movie ” Pilla nuvvu leni Jeevitham ” also at final stages. So, 2014 will be delightful for Mega fans.And All the best to “Mega” Freshers.